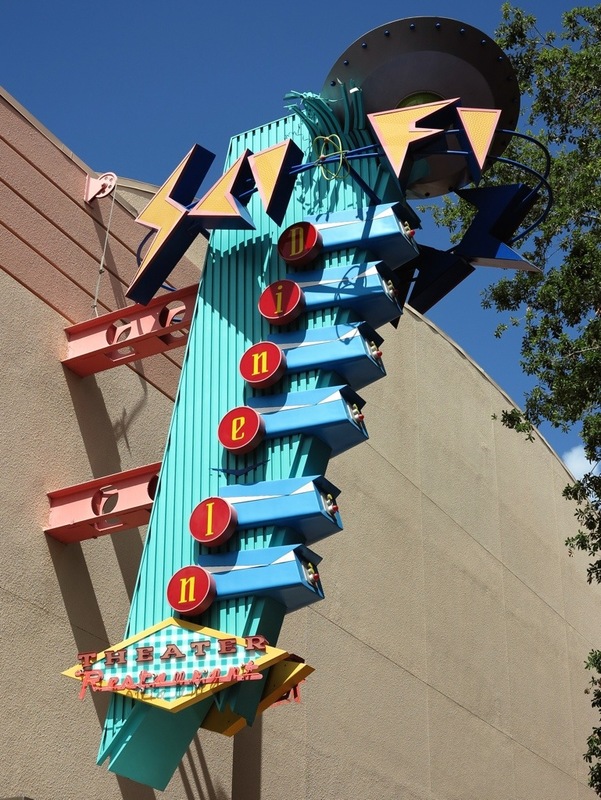 One of my fondest childhood memories was piling into my Aunt’s car with my sister and cousins to go see The Jungle Book at the local drive-in. We all had our pajamas on and the car was filled with pillows and blankets and snacks. It was like a big slumber party on wheels! 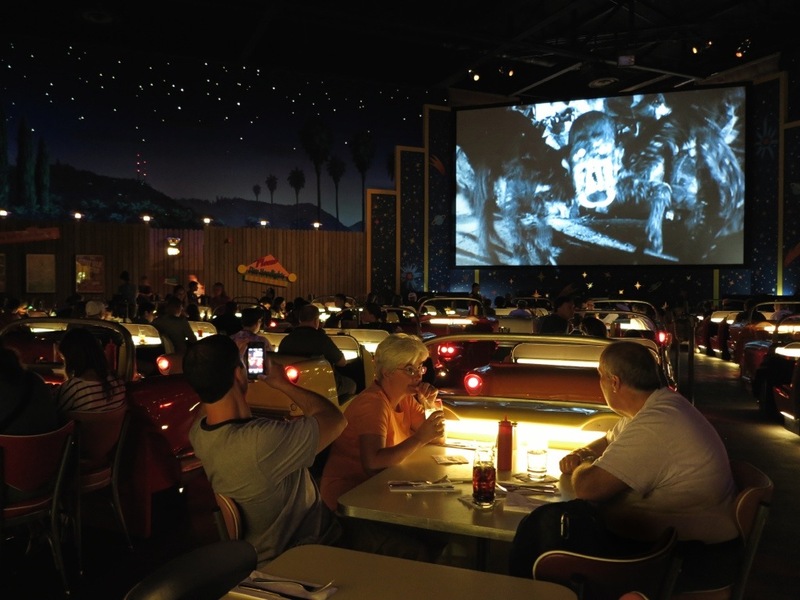 There aren’t many drive-in theaters left these days but, thanks to Disney, you can experience a bit of nostalgia by going to the Sci-Fi Dine-In Theater restaurant at Disney’s Hollywood Studios. 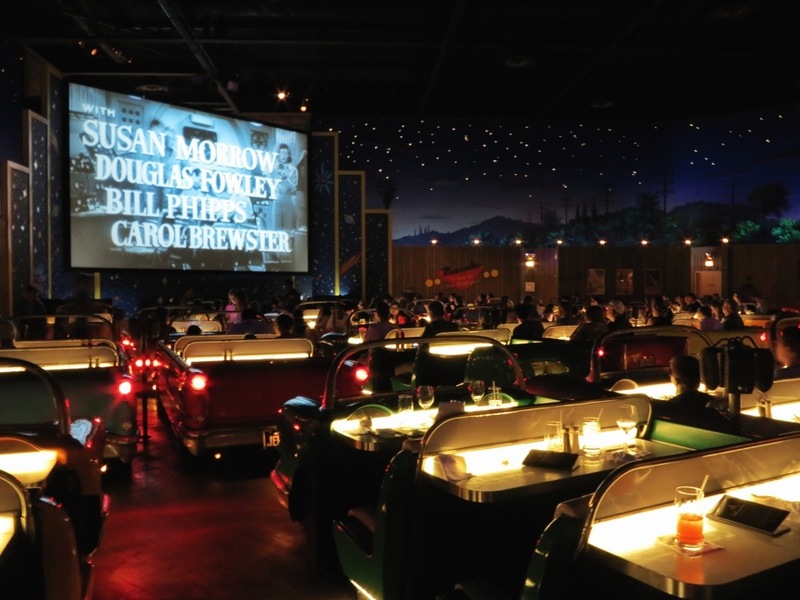 The Sci-Fi Dine-In isn’t just another theme park restaurant – it’s a dining experience like none other. 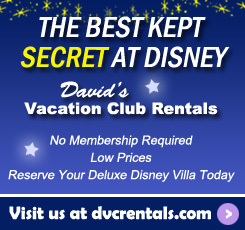 From the moment you arrive, you’ll be transported to another place and time. 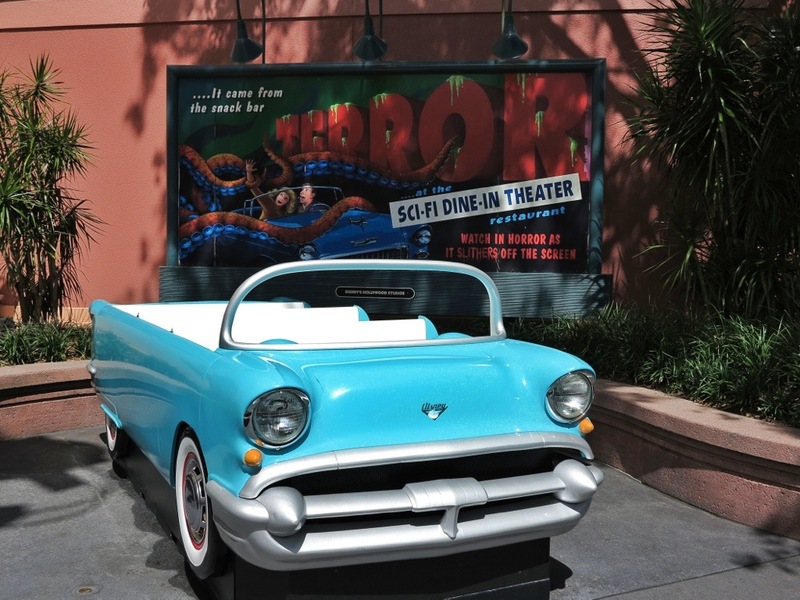 Outside the restaurant, you get a taste of things to come with this old car and movie billboard. Be sure to get a photo of the gang sitting in the car. It’ll be a great memento for later. 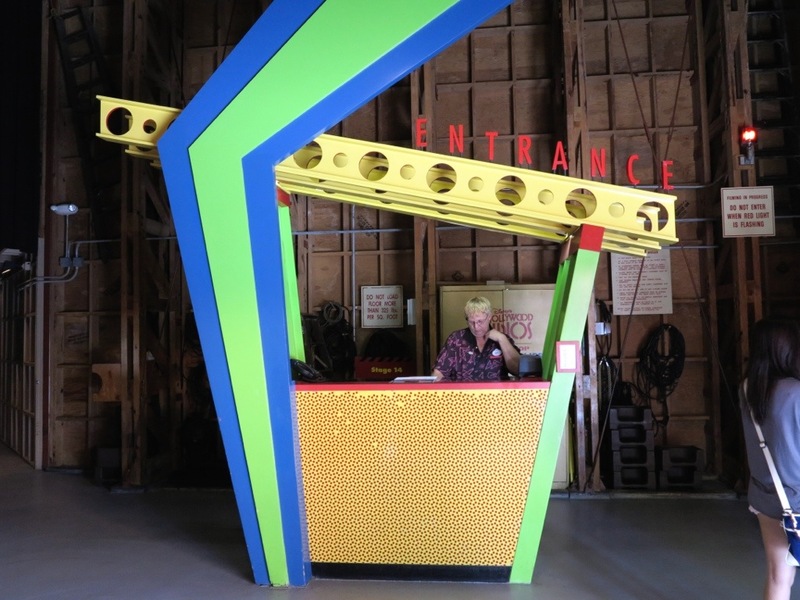 As you walk in, you’ll notice that the check in podium is designed to look like the ticket booths you would find at the drive-in theater in the 50s and 60s. This is just a teaser though. The real magic happens when you are led down the hall and into the restaurant. 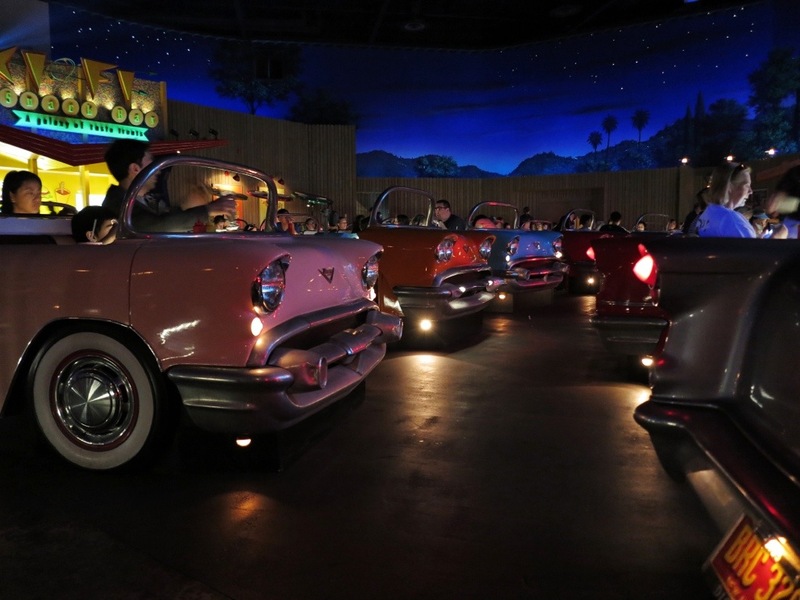 You’ll be escorted to your table, which in most cases is a car with 3 bench seats and a small table for each seat. 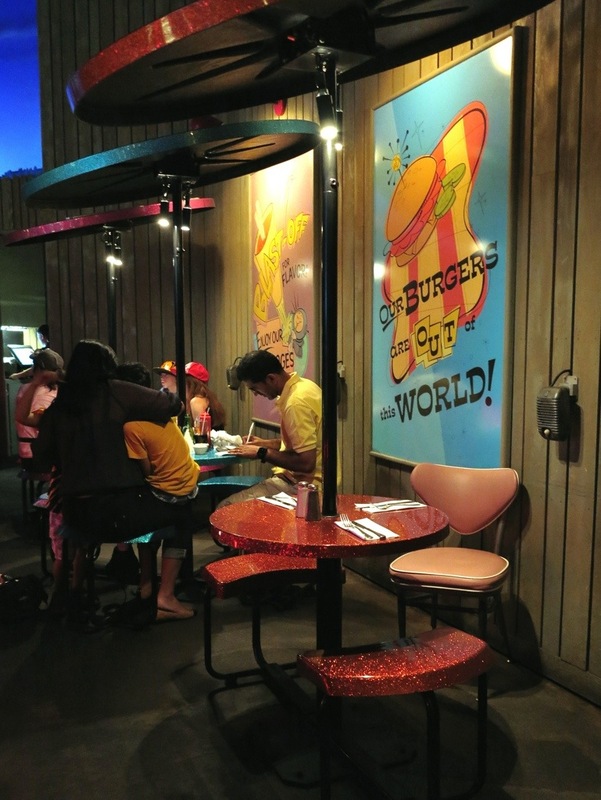 Some cars have one large table with chairs and along the back fence are what they call the “pixie dust” tables. 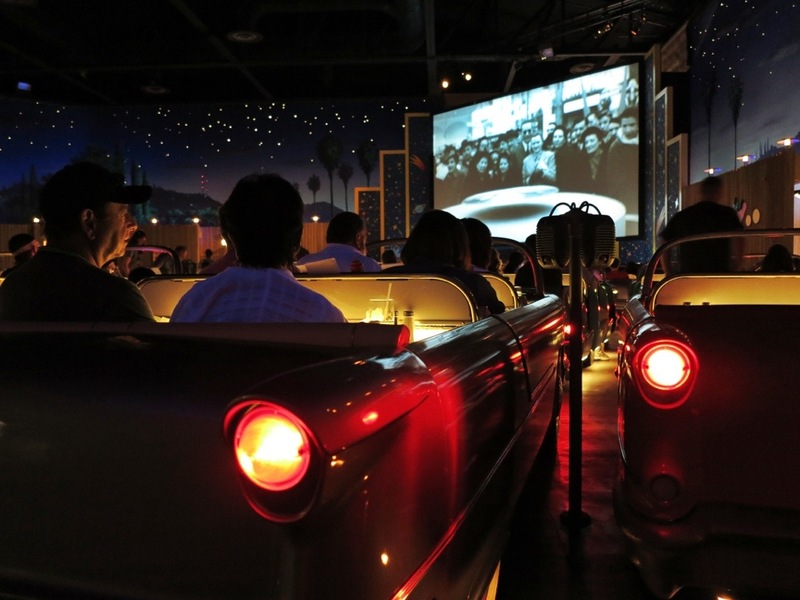 I recommend making advance reservations if you want a car with bench seats. 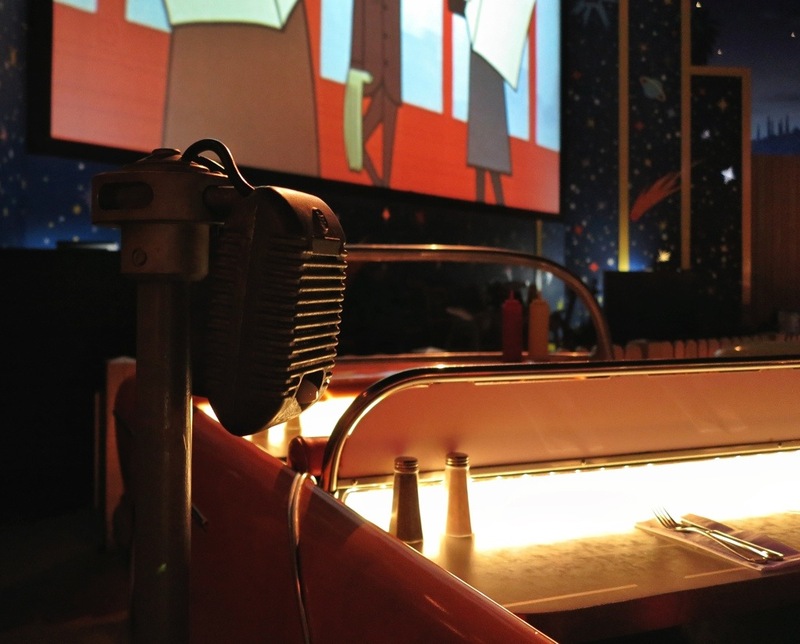 The old time speakers next to your table provide the sound for the movie, just like they did way back when. 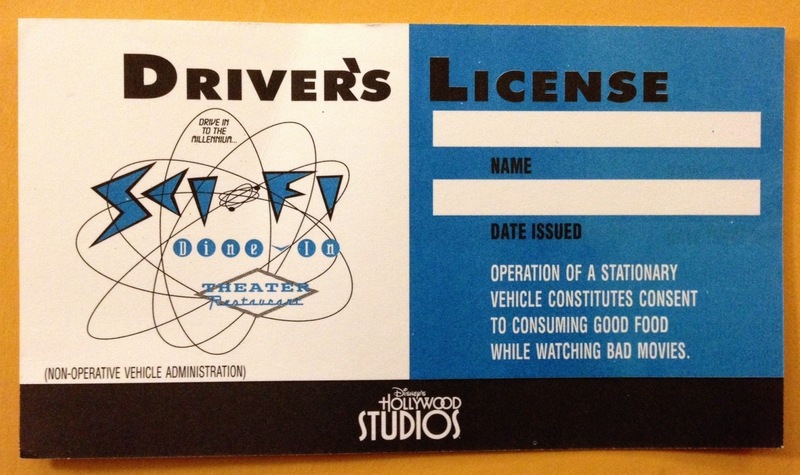 The movies are old Sci-Fi and horror clips. They’re very entertaining to watch. I found myself laughing quite a bit. Every now and then you’ll see Mickey Mouse or Walt Disney. 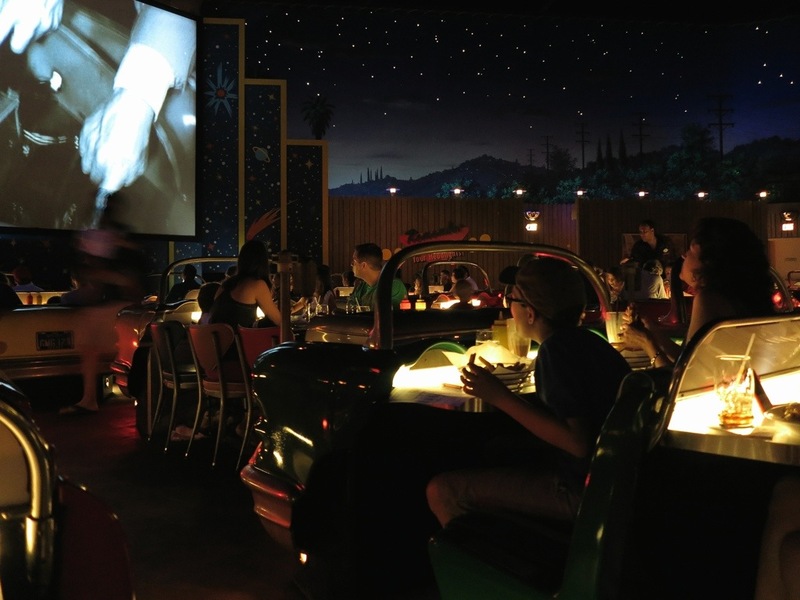 At the end of your meal, young movie goers will be offered a drivers license, while adults are issued a parking violating! It probably seems odd that I haven’t mentioned the food yet, but honestly, it is the experience that is the big draw at this restaurant. 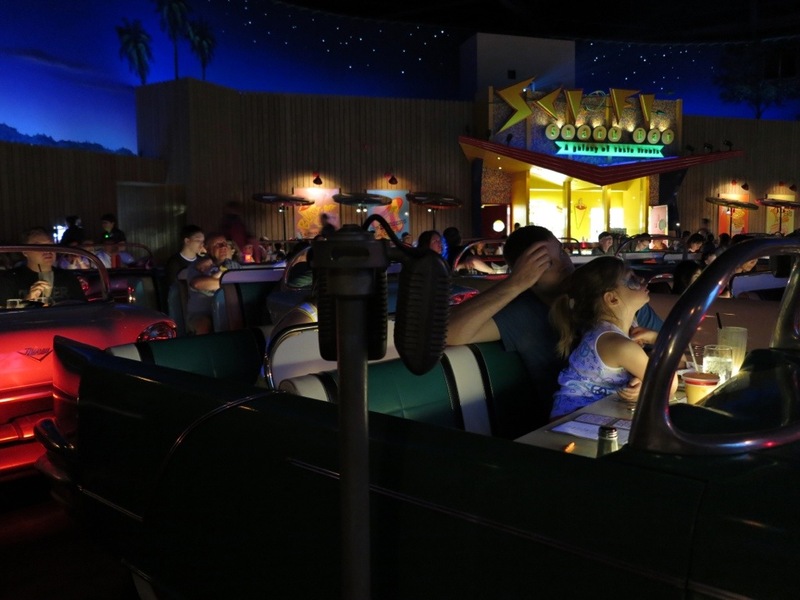 Sci-Fi Dine-In has typical diner food – hamburgers, milk shakes, sandwiches, sundaes, and such, with a few unusual offerings. The Picnic Burger has both a hamburger and a hot dog on the same bun! 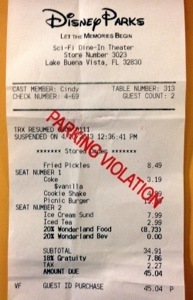 I did try the Fried Pickles but much preferred the hot fudge sundae. 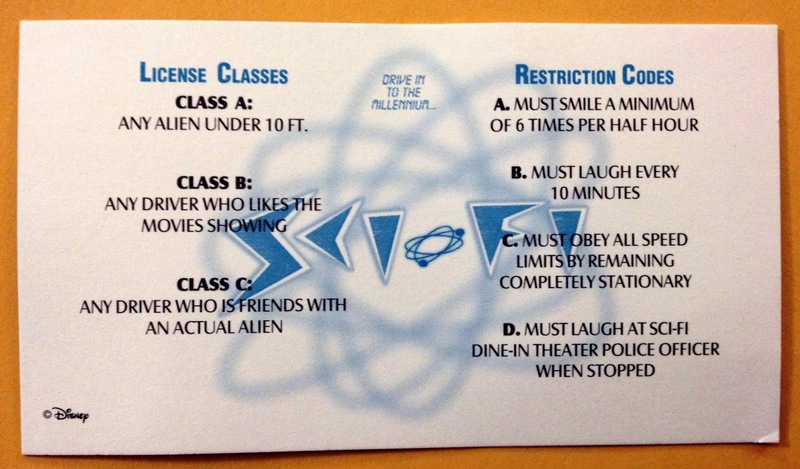 The Sc-Fi Dine-In Theater restaurant is now on my must-do list. 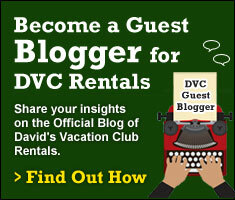 It’s Disney theming at its best!